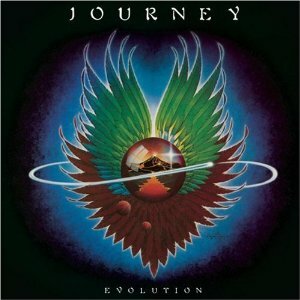 A few days ago I opened up Spotify on my computer and searched on “Journey.” I scrolled down and found the entire Evolution album. It was like I had reconnected with an old friend when I started listening to those tunes. On a rare visit in 1980 to Woodstock to see my Aunt Essie and Uncle Clarence, we drove into the small downtown area just for a break from the chickens that dominated their yard and the scratching and smelly dogs that owned their home. There was an old record shop where I managed to grab a few minutes of searching the bins. I listened to the radio everyday and was building a music catalog slowly. My budget was tight and I didn’t want to get stuck with an album with one good song and a bunch of weak filler tracks so I took my sweet time. “Lovin’, Touchin’, Squeezin'” had been a major hit for Journey and sometimes the radio stations out of Statesboro and Savannah would play “City of the Angels” right after it. I liked “City of the Angels” better than “Lovin’, Touchin’, Squeezin'” anyway and “Just The Same Way” (hit #58 on the Hot 100) was just awesome too. So, I figured with those three on the album that maybe the rest of Evolution would be good too. It didn’t disappoint. Add “When You’re Alone (It Ain’t Easy)”, “Too Late” (made it to number 70 on the Billboard Hot 100), “Sweet and Simple”, “Lovin’ You Is Easy”, “Do You Recall”, “Lady Luck” and “Daydream” to the others and I had found a new friend to get me through my teens. I had a turntable and a nothing fancy set of speakers that I turned as loud as I could in my front bedroom hoping that my neighbors would hear and think how cool I was. 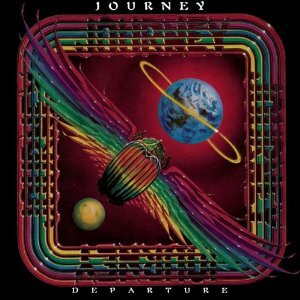 Anyway, Over the next six or seven years, Journey made more of the best songs ever. Now, I know many folks have written them off as contrived but to me they made some memorable music. Being a child of the eighties, these tunes are from the Steve Perry era. Nothing against the singers since then, I just haven’t taken the time to check out their work yet. Plus, I was rather impressionable and many of Perry’s songs were there on the rainy days when a little fishbowl of a town seemed way too small, quiet, and lonely. Journey’s songs broke the silence and reduced that small voice of desperation to a murmur. I appreciate that they shared their work with me. Thanks to Neil Schon, Steve Perry (#76 on Rolling Stone’s list of best rock singers), Jonathan Cain, Ross Valory, Greg Rolie, Steve Smith, and Aynsley Dunbar for my favorite period of Journey.